Race, stunt and speed on your own terms! 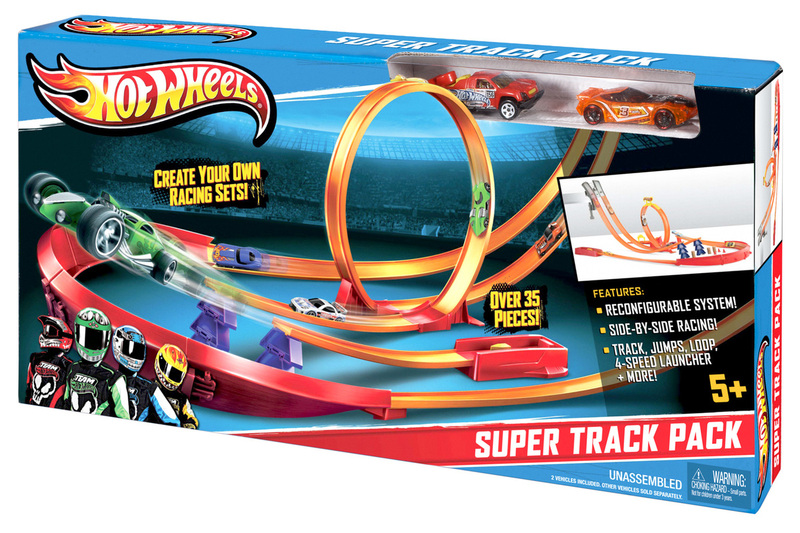 The Hot Wheels® Super Track Pack lets kids build their own track for the ultimate Hot Wheels® experience. 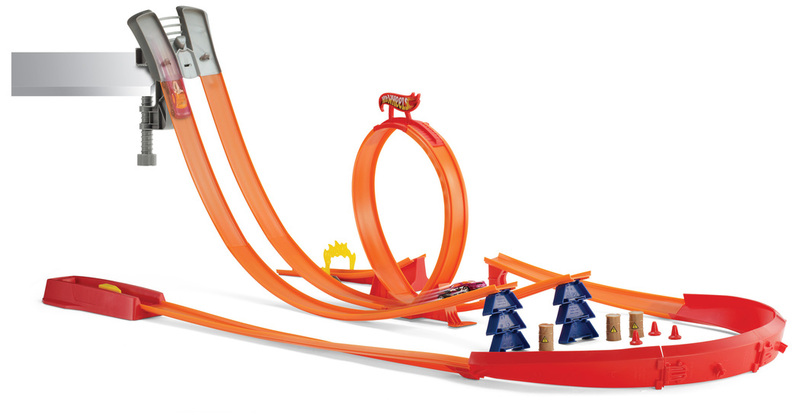 Use track pieces, connectors, curves, jumps, launchers and a side-by-side gravity-racing clamp to create different challenges and obstacles. There are tons of variations and endless ways to play. The instruction kit provides some cool options, or boys can take a wild ride with their own imaginations! Go for swooping and looping, or add curves, jumps and obstacles. Set up the moveable cones and hazardous waste bins to create dangerous stunts or stall the competition. 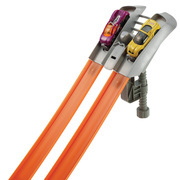 Go for side-by-side racing or thrilling obstacles courses. 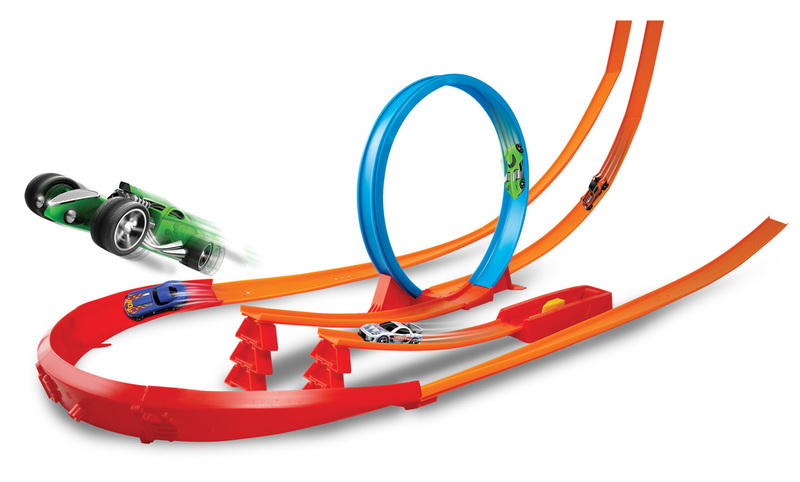 Create racetracks to best your own time or to see who is the fastest, the most daring or the most in demand. The possibilities are endless! The pack comes with more than 35 track pieces, connectors, accessories (e.g., hazard bins and cones) and two die-cast cars. Ages 4 and older. 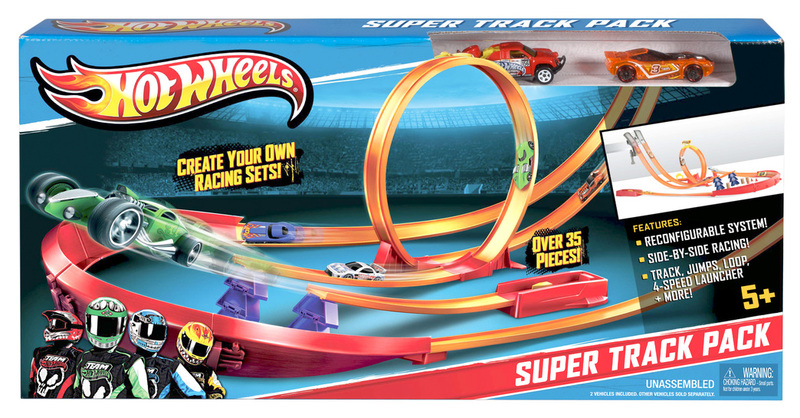 o	The Hot Wheels® Super Track Pack lets kids build their own track for the ultimate Hot Wheels® experience.o	Use track pieces, connectors, curves, jumps, launchers and a side-by-side gravity-racing clamp to create different challenges and obstacles. There are tons of variations and endless ways to play.o	The instruction kit provides some cool options, or boys can take a wild ride with their own imaginations! Go for swooping and looping, or add curves, jumps and obstacles.o	Set up the moveable cones and hazardous waste bins to create dangerous stunts or stall the competition. Go for side-by-side racing or thrilling obstacles courses.o	Create racetracks to best your own time or to see who is the fastest, the most daring or the most in demand. The possibilities are endless!